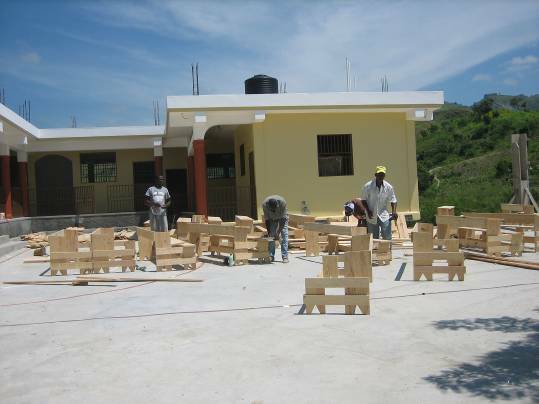 Friends of Kang Yun Foundation has provided funding to Partners In Health/Zanmi Lasante (PIH/ZL) for construction of a new building for the Ecole Bon Berger in Domond, Haiti. This school currently serves as an elementary school for the community of Domond. 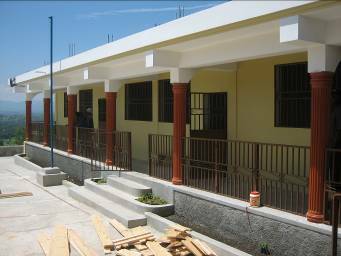 A supplementary grant from Digicel Foundation Haiti has funded improved building foundations, enabling the future addition of a second story to the building. The vision is that one day the Ecole Bon Berger can serve as a secondary school for the most gifted students in the 25 community schools that PIH/ZL runs throughout the Central Plateau. 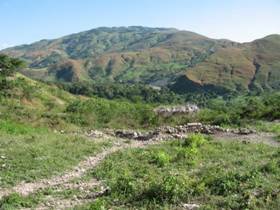 Domond lies on the road between Cange (the village where PIH is headquartered in Haiti) and Mirebalais in the central plateau region of Haiti. A community of close to 25,000 people, Domond is just outside the main catchment area of the Cange clinic. Situated at the top of a big hill (with a very bad road in the rainy season), the village school has 9 teachers serving 392 students. 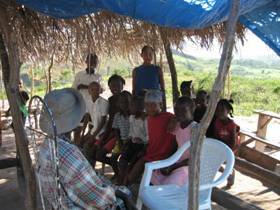 It has been operating since 2006 and is under the care of one of PiH's paid health promoters, Cola. PIH has undertaken to provide all of the teacher’s salaries and basic educational materials at Domond. All of the students in its schools will receive a high-protein, low-cost, nutritious meal every day.